Her work draws from folklore and the oral storytelling tradition, inspiration that is reflected in both her themes and her drawing. Most of her artwork is black ink on white paper, creating minimalistic but powerful characters and landscapes. She is currently working on The Crab Chronicles, her second graphic novel for young adults. “I was just so thrilled about drawing ugly, distorted people.” Photograph by Philippe Martin. 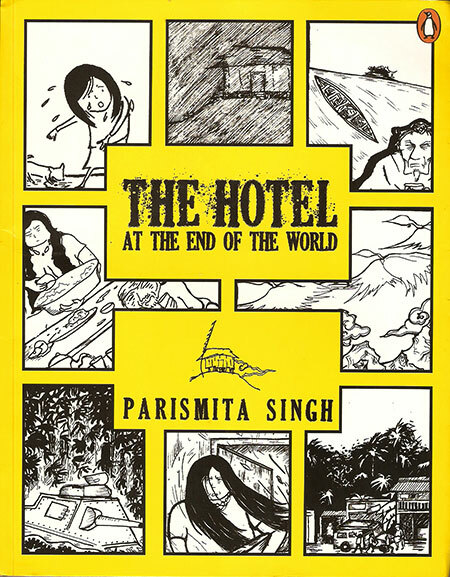 Was there a particular life experience that inspired The Hotel at the End of the World? Your graphic novel brought back the art of oral storytelling through illustrations and the written word. Even the coarse angular sketches in the book reflect a more primitive, earthly tradition. I don’t know about that. Maybe I should have reined in a bit of that crazy, scratchy-splotchy energy, no? I was just so thrilled about drawing ugly, distorted people. This [upcoming] book (The Crab Chronicles) is more controlled in that sense. Then I started to miss the older craziness, so I’m trying to find a balance. A lot of people assume that your last book was set in the northeast. But you’ve resisted that notion and tried to assert that the book doesn’t relate to any one particular region. Does the same hold true for The Crab Chronicles? Do you think a book without a place has greater or lesser resonance as a story? I really don’t want to get into making declarations about the role of place in fiction, and all that. 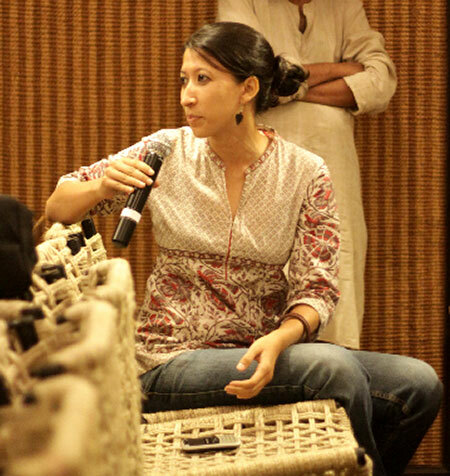 It’s not my job—though it is very tempting to; we all love to talk about our work. But how utterly terrifying to begin writing about a place, and see it transform, till you know it isn’t that one place any more, or that you have just misrepresented it, distorted it, and so on. The other thing is writing about the northeast. I was paranoid about—how do I put it?—not pimping the region to push my book. I wasn’t in the business of “please read my book to know more about the northeast, to ease your conscience of not having bothered to do so before”. There are books in politics, history, etc. that you can read for that. It’s particularly tricky, because the northeast has a long history of representation, of being written about, of colonial photographs. And I am based in Delhi, which complicates the matter. Knowing or not knowing the postal code of the stories, how does that matter? And if it does, then work out a good argument for that. I’m game. God knows what I’m going to do for The Crab Chronicles. All these details are in my head, in the stories. What I choose to reveal and what I don’t is a part of the editing [process]. The Crab Chronicles has been categorised as a book for young adults. People of very different ages read your last book. Is there a reason this one has a particular age bracket? I wanted it to be a book for young adults. But I don’t know how its eventually going to be marketed. I don’t have a publisher yet. In fact, I’ve almost stopped working on it. Until some money arrives, that is. Are you a writer that illustrates her work or an illustrator who adds words to her drawings? It’s hard enough getting any work done. I really don’t think about these things. There are only a handful of graphic novelists in India, and all of them have vastly different styles. Is this because you’re drawing from different artistic traditions across the country? Is there some art form or culture in particular that you draw your inspiration from? No. But again, this is a question for a reviewer of my work, not me. I’m going to take a beat from The Hotel… and say that stories travel. How do you feel about the innumerable interpretations that a story exposes itself to upon publication? Does it bother you that your conception of the book may not be what other people see? Sometimes I react in murderous rage, at other times, I simper. There’s nothing I can do about this. Yes, of course, I’ll tell you that that’s a part of the beauty of the book, and once it’s done, it stops being yours in that sense, and so on. But it’s hard. I feel it especially with my piece for The Pao Anthology. It has all these references. But there’s no way to put it across, unless I use footnotes or something. And there are the false leads, red herrings, which you aren’t meant to fall for. For instance, with a piece called ‘Sleepscapes’, you have to get suspicious. This is too obvious, this is not about sleepscapes! Everyone’s talking about how nobody reads anymore. Do you think the graphic novel can restore storytelling to its former popularity? I wouldn’t want it to. I wouldn’t want people to pick up a graphic novel because they find prose or poetry too tedious. Though maybe in a world like that, we’d sell a lot more books, and get rich. In which case, I wouldn’t care (laughs). You can view excerpts from The Crab Chronicles at this location.